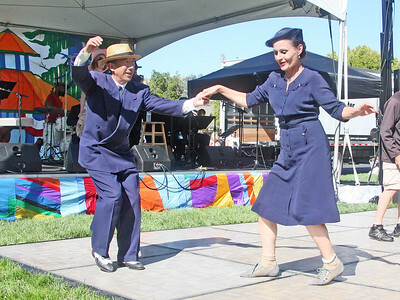 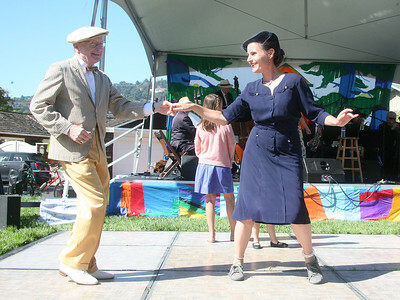 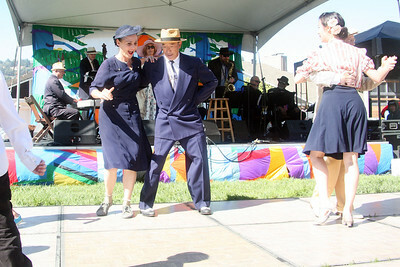 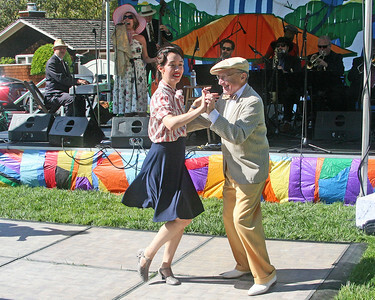 Ken Wantanabe (center) Natalie King (far left) Wendy Tai and Michael Maranchio who make up a swing dance troupe called 'Ken & Friends' are dressed in period costume to compliment Lavay Smith and Her Red Hot Skillet Lickers on stage at the Belvedere Concert In the Park on Sunday July 15, 2018. 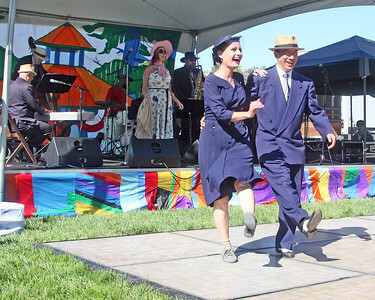 Wendy Tai and Michael Maranchio, part of a swing dance troupe called 'Ken & Friends' are dressed in period costume to compliment Lavay Smith and Her Red Hot Skillet Lickers on stage at the Belvedere Concert In the Park on Sunday July 15, 2018. 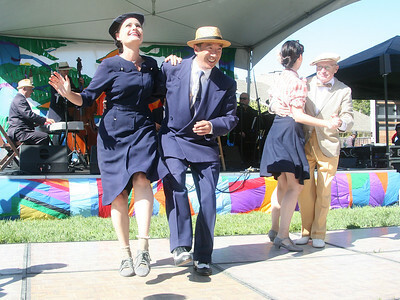 Ken Wantanabe (left) and his partner Natalie King, part of a swing dance troupe called 'Ken & Friends' are dressed in period costume to compliment Lavay Smith and Her Red Hot Skillet Lickers on stage at the Belvedere Concert In the Park on Sunday July 15, 2018.